The current stereo system will not support all of the speakers in the boat and it is not currently giving true stereo or surround sound. We decided that it was best to change every speaker and component on the boat to PolyPlaner because they are made for the boat enviroment and deliver concert hall sound. 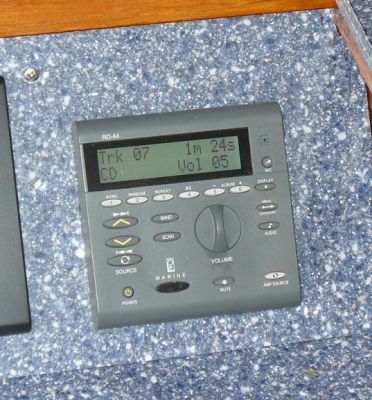 We used PolyPlaner for the entire audio system on the boat. The unit pictured is located in the Salon control area and is one of four RD-44 heads in the boat. 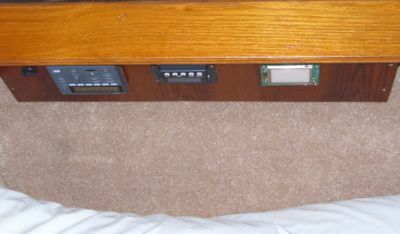 Each head can turn off all units on the boat, change the main source between CD/AM/FM/SAT TV/DVD/etc. In addition, the units can be used as an intercom. 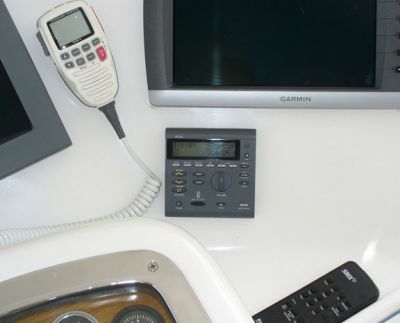 I am including the other units in this forum because they are an intergal part of the entire audio system on the boat, with the heart of the system located in the Salon. This unit is located in the Master Stateroom and drives four speakers and one subwoofer. Two of the speakers are located over the bathtub and two are above the headboard facing down toward the bed. 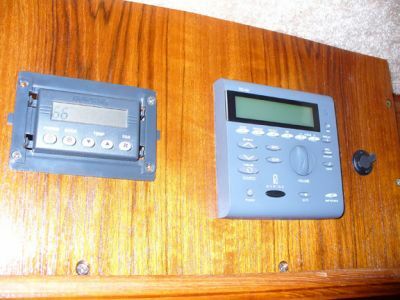 From the Stateroom, we have the ability to turn off all of the audio on the boat. This photo was taken looking forward over the bed. The board with RD-44 is easily seen and reached while laying in the bed and looking up. This photo was taken while laying in the bed. 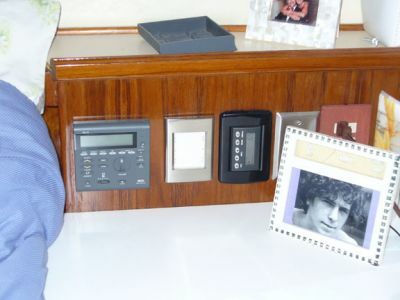 Note the black plug to the right of the RD-44: This plug gives our guests the option to plug in their MP3 player and listen to their personal music using the four speakers and one subwoofer in the VIP Stateroom. This is the fourth RD-44 on the boat and is located on the bridge. With the intercom, I can reach anyone on the boat. This head controls four speakers and a large subwoofer. We can also use the amp source button to power-up the XM radio from Garmin. We love this system! 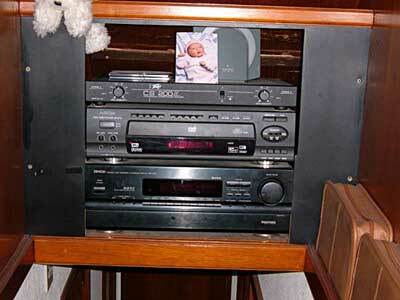 This photo and frame lift up for access to the PolyPlaner CD player and amp as well as other audio and video equipment. 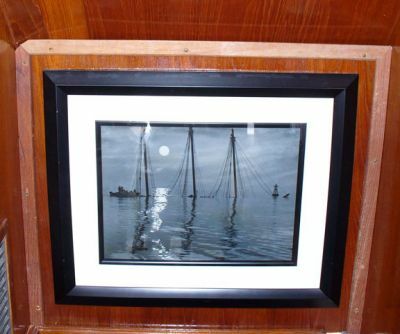 Belvedere Yacht Club removed two photos from the mens roon where they had been for many years and put them in a Chinese auction. We paid $1.50 and won the set of two which I had liked since the day I found this lovely club on the Magothy river. They needed reframing and while doing this task we discovered that they are signed A. Aubrey Bodine and date about 1953. The club was founded in 1952. We only had space for one so the other is encased behind this as a treasure.